View all 86 products in this collection. You’ve finally found the love of your life and want to make sure that she stays yours forever. 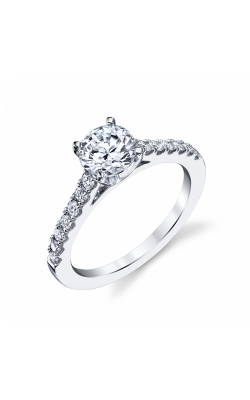 So, when you get down on one knee and ask her to marry you, do so with a Coast Diamond engagement ring. Coast Diamond is known for their classic, sophisticated engagement rings that have that touch of magic, just like your bride-to-be. They have been crafting bridal jewelry since 1978. 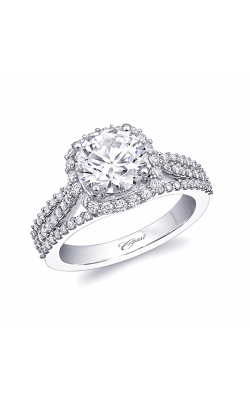 All of the Coast Diamond engagement rings invoke a sense of imagination and grace. 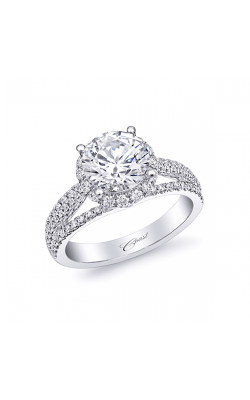 Coast understands that every women wants her engagement to be unique and special, which is why they create engagement rings that exude romance and style. The Romance collection features rings that mix traditional elements with charming touches of whimsy. Stunning 14K white gold bands support large, sparkling diamonds that will glimmer on your future bride's finger. The collection offers a variety of settings, including a pave-set diamond and a scalloped shank with a micro-prong set diamond. No matter the taste and style of your future fiancée, the Romance collection will have a ring that will make her heart flutter with love. The Hand Engraved collection is marked by intricate design work and mixed metal bands. When you want the love of your life to know she is beautiful, smart, and funny, the three diamonds on the rings of these collection will tell her so. 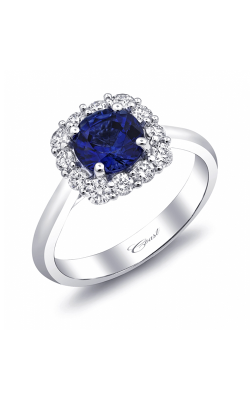 The Charisma collection is perfect for the women who can't have enough diamonds in her life. These Coast Diamond engagement rings feature a halo design, which means that the elegant, bands are lined with smaller diamonds while the center diamond is surrounded by even more diamonds. Just as your love has blossomed, these rings call to mind beautiful budding flowers. 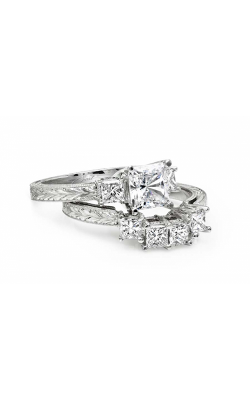 Why Shop for Coast Diamond Engagement Rings at Long Jewelers? Long Jewelers has been helping the residents of Virginia Beach pop the question for over 30 years. We take great pride in our long history. Founded by David Long, an award winning designer, Long Jewelers has the largest jewelry showroom in Virginia. Long Jewelers has also been featured in such magazines as Town & Country and InStyle. Wanting to fulfill all of your jewelry needs, we employee full-time jewelers, a C.O.S.C.certified master watch maker, a team of G.I.A. graduates as well as an master diamond cutter. 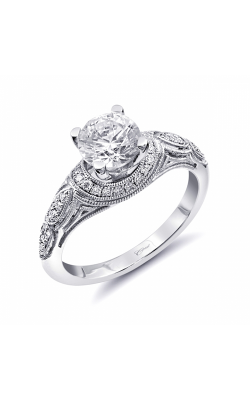 When you are in search for a beautiful Coast Diamond engagement ring, come see us at Long Jewelers.